Find this 1982 AMC Eagle 4X4 Wagon here on eBay bidding for $2,025 with auction ending on Sunday at 5:45PM Pacific. Hello and thank you for looking at my auction. My name is Joe and I sell vehicles differently than most dealers. Buying your next car or truck through one of my NO RESERVE auctions is the best way to take the games out of your next automotive purchase. I personally road test each vehicle before it is offered for sale so I can give you my first hand opinion of how it runs and drives. Please keep in mind that I am not a mechanic. Each vehicle is represented accurately and honestly to the best of my knowledge and ability. Please take the time to read this entire description as well as our Terms & Conditions carefully BEFORE asking questions or placing a bid. An administrative fee of $149 will be added to the final bid of each auction. 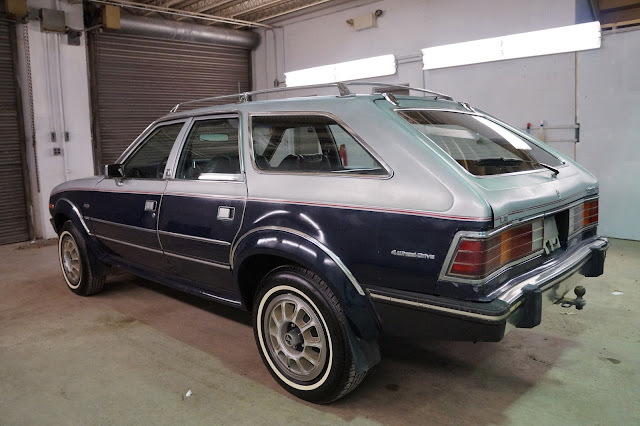 Up for a NO RESERVE auction is a very hard to find 1982 AMC Eagle 4x4 wagon with just 156k original miles. My parents had one of these when I was young...and this one is just as cool as I remember my parents' Eagle being back in the day. I would rate the exterior of this Eagle to be in AVERAGE CONDITION for its age and mileage. 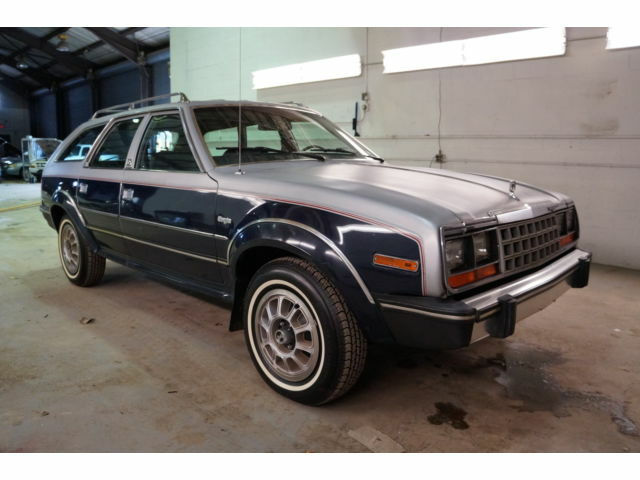 Please keep in mind that this is a completely original AMC Eagle. 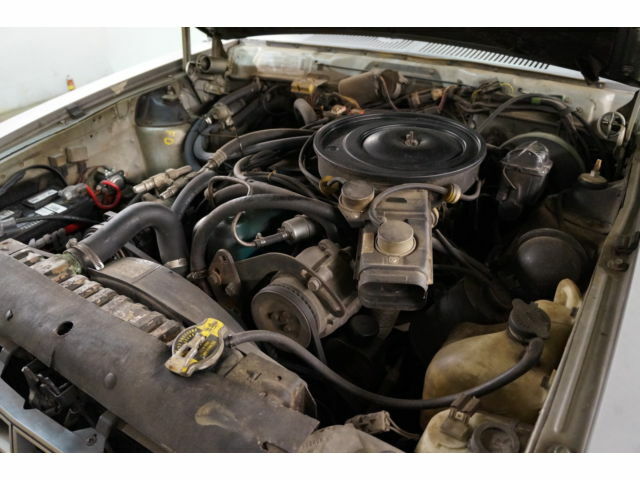 It has had the same owner for the past 15 years and looks to have been well maintained. This car gets tons of looks everywhere I go...I love driving it. The blue and silver two tone exterior looks good and shows well for its age. The silver is showing its age, as should be expected since the silver covers the portions of the car that get the most sun. The blue lower portions have a nice shine. The body is nice and straight. The hood, doors and tail gate all open and close easily. There are no major dents, scratches or other damage to note on the exterior. Please keep in mind that this is an original 33 year old car and a certain amount of aging should be expected. The RR bumper trim is missing. All of the glass and lenses are intact. The original alloy wheels show well and are wrapped in a nice set of rubber with deep tread all around. There is no visible rust on the exterior of this car. Please take your time and check out each of the photos carefully. These cars are very hard to find in original condition. 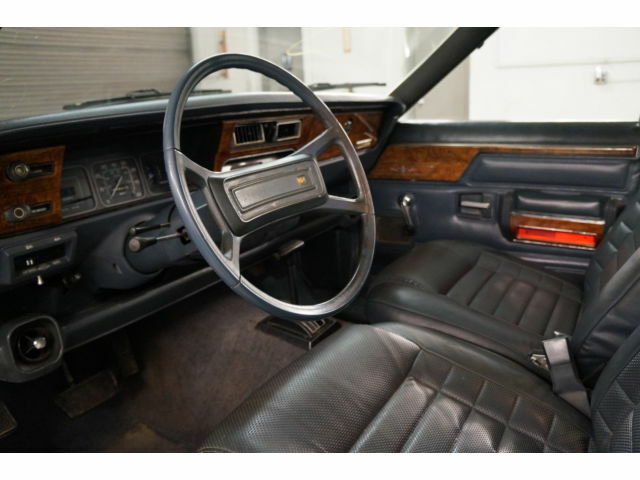 I would rate the interior of this AMC Eagle to be in ABOVE AVERAGE CONDITION for its age and mileage. As you can see, the blue interior contrasts nicely against the silver and blue exterior. The door panels are clean and tight. The carpets are clean and full looking throughout the interior. The seats show very well for their age. The dash and headliner are clean. As is common, the headliner is sagging a bit and has been pinned up by the previous owner. The wood interior accents are in great condition. The windows roll up and down easily. The stereo is original and sounds good. The climate control system also appears to be working properly. The heater works properly. The air conditioner works but will need charged. The cargo area is spacious and clean. Included from the previous owner is a service manual as well as spare belts and filters. Pride in ownership shows throughout this Eagle. Mechanically, this Eagle appears to be in good running and driving condition. The 4.2L inline six cylinder starts easily and purrs like a kitten. Seriously, this Eagle idles so smoothly that I've sometimes had to check to make sure it's still running. I haven't noticed any leaks and the engine does not smoke. Her road manners are very good for a car this age. The suspension feels confident and well sorted. There are a few little squeeks and rattles here and there, as should be expected with anything this age. The steering and brakes feel great. The engine runs nice and cool at all times and has gobbs of power. The automatic transmission engages smoothly and shifts properly with absolutely no issues. Out on the highway, she drives nice and straight with absolutely no complaints. She easily cruises at 70-75 no problem. The 4WD system is tested and working properly. Again, this AMC Eagle has had the same owner for the past 15 years. Additionally, this Eagle comes with 3 sets of keys. Pride in ownership shows throughout this vehicle. All she needs is a new caretaker. If you've been looking for a clean, original Eagle, this one definitely deserves your consideration. There are a few super nice ones on the market that have been previously repainted, etc. The problem with those is that you don't know what is hiding under the shiny new paint. With an original car, you know exactly what you're getting and what you have to work with. Thanks for looking and good luck bidding. We actually had a few of these for police cars back in the day because they were the cheapest 4x4 that was on the market. Our department was immobilized during a blizzard in 1979 and certain miscreants started looting. The all and powerful, devoid of any common sense, thought these were a great idea. The were as reliable as a politician and the seats would break so we would prop them up with an old milk crate on the rear floor. When they went, they went good in the snow, though. Dear DT: Are you guys doing ok? The Chrysler, this Nash, and I haven't yet reached the next few, but my hopes are not high my friends. My chipper spirit will carry me forward, but unless we some happy and hopeful cars I will remain concerned. Keep yer' peckers up gents! I would to lift it, off road tires, put a rack of lights on the front and go for it. Could look pretty cool.